By Audrey Golden. Feb 20, 2018. 9:00 AM. 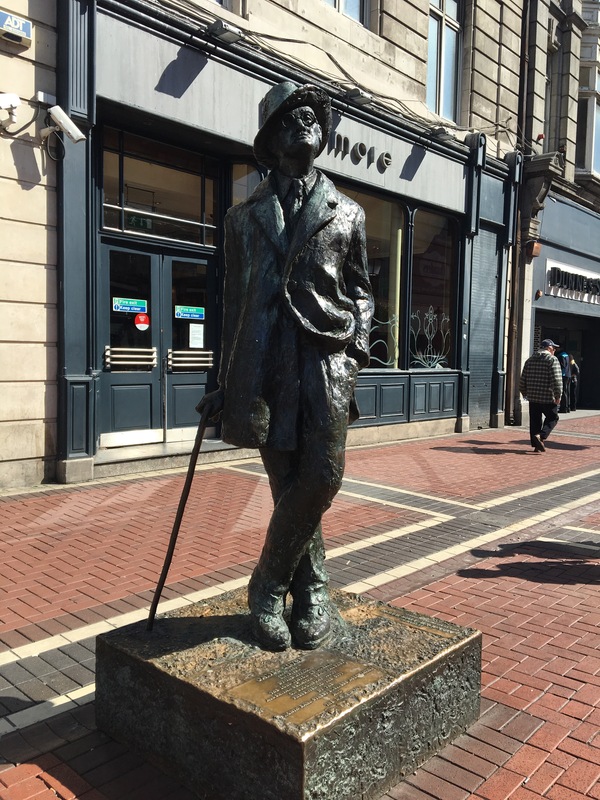 If you’re traveling to Dublin anytime soon and are a James Joyce fan, you might want to set aside at least a couple of days for visiting the dozens of locations connected to some of Joyce’s most famous works. Most notably, visitors to Dublin can trace the path through the city that Leopold Bloom takes on June 16, 1904. In addition, visitors can walk by the house—which was listed for sale the last time we were in Dublin, if you’re in the market—that served as the setting for “The Dead,” Joyce’s last story in his famous collection Dubliners (1914). Are you interested in hearing more? Let us tell you a little bit about James Joyce’s Dublin. While Leopold Bloom traverses Dublin on June 16, 1904, he covers a pretty large portion of the city—29 kilometers in total. You can walk about half of it, as Bloom did in the novel. Most notably, you can visit the site of Bloom’s House, located at 7 Eccles Street, No. 4. 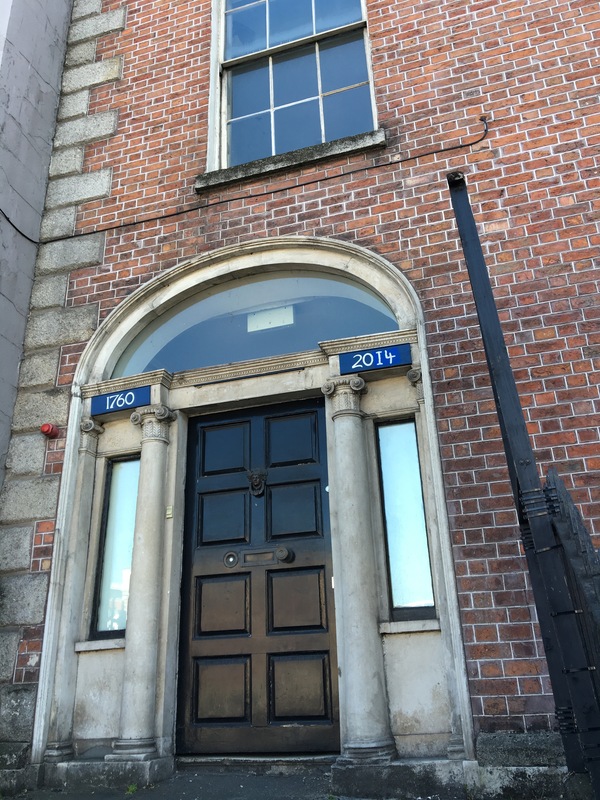 While the structure no longer stands, Joyce enthusiasts can see the original front door at the James Joyce Centre (we’ll tell you more about that spot shortly). Following Bloom’s midday route through Dublin is now relatively easy, given the bronze plaques that run along the pavement (added in 1988). The plaques begin at the Evening Telegraph Office on Abbey Street, and they conclude at the National Museum near Trinity College. Much of "The Dead" is set in a house located at 15 Usher’s Island in Dublin. Up until April 2017, Joyce fans (and other Dubliners or visitors to the city) could rent the house for events, parties, and other gatherings. However, in April of this past year, the house went up for sale for €550,000—a relatively small price to pay, we think, to own the “dark gaunt house on Usher’s Island,” as Joyce described it. If you’re looking for more places in which to see some Joyce ephemera, you can visit the Joyce Centre on North Great George’s Street, which houses some early Joyce documents, including Leopold Bloom’s front door. In addition, if you find yourself in Parnell Square, the Dublin Writers Museum also has some interesting Joyce materials. And if it turns out you’re in Dublin for quite a long time and are interested in doing some literary research, there is a large collection of Joyce’s papers at the National Library on Kildare Street. Enjoy yourself!